4600901 MF 3050 MASSEY FERGUSON MF 3050 wheel tractor. Spare Parts Catalog. 4600902 MF 3060 MASSEY FERGUSON MF 3060 wheel tractor. Spare Parts Catalog. 4600903 MF 3065 MASSEY FERGUSON MF 3065 wheel tractor. Spare Parts Catalog. 4600904 MF 3070 MASSEY FERGUSON MF 3070 wheel tractor. Spare Parts Catalog. 4600905 MF 3075 MASSEY FERGUSON MF 3075 wheel tractor. Spare Parts Catalog. 4600906 MF 3080 MASSEY FERGUSON MF 3080 wheel tractor. Spare Parts Catalog. 4600907 MF 3085 MASSEY FERGUSON MF 3085 wheel tractor. Spare Parts Catalog. 4600908 MF 3090 MASSEY FERGUSON MF 3090 wheel tractor. Spare Parts Catalog. 4600909 MF 3095 MASSEY FERGUSON MF 3095 wheel tractor. Spare Parts Catalog. 4600910 MF 3115 MASSEY FERGUSON MF 3115 wheel tractor. Spare Parts Catalog. 4600911 MF 3120 MASSEY FERGUSON MF 3120 wheel tractor. Spare Parts Catalog. 4600912 MF 3125 MASSEY FERGUSON MF 3125 wheel tractor. Spare Parts Catalog. 4600913 MF 3140 MASSEY FERGUSON MF 3140 wheel tractor. Spare Parts Catalog. 4600914 MF 3165 MASSEY FERGUSON MF 3165 wheel tractor. Spare Parts Catalog. 4600915 MF 3315 MASSEY FERGUSON MF 3315 wheel tractor. Spare Parts Catalog. 4600916 MF 3325 MASSEY FERGUSON MF 3325 wheel tractor. Spare Parts Catalog. 4600917 MF 3330 MASSEY FERGUSON MF 3330 wheel tractor. Spare Parts Catalog. 4600918 MF 3340 MASSEY FERGUSON MF 3340 wheel tractor. Spare Parts Catalog. 4600919 MF 3350 MASSEY FERGUSON MF 3350 wheel tractor. Spare Parts Catalog. 4600920 MF 3355 MASSEY FERGUSON MF 3355 wheel tractor. Spare Parts Catalog. 4600921 MF 3425-F/-S/-V Powershuttle MASSEY FERGUSON MF 3425-F/-S/-V Powershuttle wheel tractor. Spare Parts Catalog. 4600922 MF 3425 MASSEY FERGUSON MF 3425 wheel tractor. Spare Parts Catalog. 4600923 MF 3435 MASSEY FERGUSON MF 3435 wheel tractor. Spare Parts Catalog. 4600924 MF 3435-F/-S/-V Powershuttle MASSEY FERGUSON MF 3435-F/-S/-V Powershuttle wheel tractor. Spare Parts Catalog. 4600925 MF 3445 MASSEY FERGUSON MF 3445 wheel tractor. Spare Parts Catalog. 4600926 MF 3445-F/-S/-V Powershuttle MASSEY FERGUSON MF 3445-F/-S/-V Powershuttle wheel tractor. Spare Parts Catalog. 4600927 MF 3455 MASSEY FERGUSON MF 3455 wheel tractor. Spare Parts Catalog. 4600928 MF 3455-F/-S/-V Powershuttle MASSEY FERGUSON MF 3455-F/-S/-V Powershuttle wheel tractor. Spare Parts Catalog. 4600929 MF 3505 MASSEY FERGUSON MF 3505 wheel tractor. Spare Parts Catalog. 4600930 MF 3525 MASSEY FERGUSON MF 3525 wheel tractor. Spare Parts Catalog. 4600931 MF 3545 MASSEY FERGUSON MF 3545 wheel tractor. Spare Parts Catalog. 4600932 MF 3610 MASSEY FERGUSON MF 3610 wheel tractor. Spare Parts Catalog. 4600933 MF 3615 Tier 2 MASSEY FERGUSON MF 3615 Tier 2 wheel tractor. Spare Parts Catalog. 4600934 MF 3615 V-S-F-GE MASSEY FERGUSON MF 3615 V-S-F-GE wheel tractor. Spare Parts Catalog. 4600935 MF 3625 MASSEY FERGUSON MF 3625 wheel tractor. Spare Parts Catalog. 4600936 MF 3625 Tier 2 MASSEY FERGUSON MF 3625 Tier 2 wheel tractor. Spare Parts Catalog. 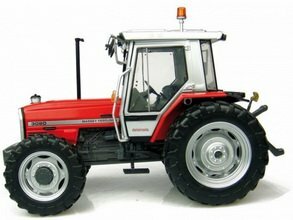 4600937 MF 3625 Tier 3 MASSEY FERGUSON MF 3625 Tier 3 wheel tractor. Spare Parts Catalog. 4600938 MF 3625 V-S-F-GE MASSEY FERGUSON MF 3625 V-S-F-GE wheel tractor. Spare Parts Catalog. 4600939 MF 3630 MASSEY FERGUSON MF 3630 wheel tractor. Spare Parts Catalog. 4600940 MF 3630 Tier 3 MASSEY FERGUSON MF 3630 Tier 3 wheel tractor. Spare Parts Catalog. 4600941 MF 3630 V-S-F-GE MASSEY FERGUSON MF 3630 V-S-F-GE wheel tractor. Spare Parts Catalog. 4600942 MF 3630 Xtra MASSEY FERGUSON MF 3630 Xtra wheel tractor. Spare Parts Catalog. 4600943 MF 3635 MASSEY FERGUSON MF 3635 wheel tractor. Spare Parts Catalog. 4600944 MF 3635 Tier 2 MASSEY FERGUSON MF 3635 Tier 2 wheel tractor. Spare Parts Catalog. 4600945 MF 3635 Tier 3 MASSEY FERGUSON MF 3635 Tier 3 wheel tractor. Spare Parts Catalog. 4600946 MF 3635 V-S-F-GE MASSEY FERGUSON MF 3635 V-S-F-GE wheel tractor. Spare Parts Catalog. 4600947 MF 3640 Tier 3 MASSEY FERGUSON MF 3640 Tier 3 wheel tractor. Spare Parts Catalog. 4600948 MF 3640 V-S-F-GE MASSEY FERGUSON MF 3640 V-S-F-GE wheel tractor. Spare Parts Catalog. 4600949 MF 3640 V-S-F-GE Xtra MASSEY FERGUSON MF 3640 V-S-F-GE Xtra wheel tractor. Spare Parts Catalog. 4600950 MF 3640 Xtra MASSEY FERGUSON MF 3640 Xtra wheel tractor. Spare Parts Catalog. 4600951 MF 3645 MASSEY FERGUSON MF 3645 wheel tractor. Spare Parts Catalog. 4600952 MF 3645 Tier 2 MASSEY FERGUSON MF 3645 Tier 2 wheel tractor. Spare Parts Catalog. 4600953 MF 3645 Tier 3 MASSEY FERGUSON MF 3645 Tier 3 wheel tractor. Spare Parts Catalog. 4600954 MF 3645 V-S-F-GE MASSEY FERGUSON MF 3645 V-S-F-GE wheel tractor. Spare Parts Catalog. 4600955 MF 3650 MASSEY FERGUSON MF 3650 wheel tractor. Spare Parts Catalog. 4600956 MF 3650 Tier 3 MASSEY FERGUSON MF 3650 Tier 3 wheel tractor. Spare Parts Catalog. 4600957 MF 3650 V-S-F-GE MASSEY FERGUSON MF 3650 V-S-F-GE wheel tractor. Spare Parts Catalog. 4600958 MF 3650 V-S-F-GE Xtra MASSEY FERGUSON MF 3650 V-S-F-GE Xtra wheel tractor. Spare Parts Catalog. 4600959 MF 3650 Xtra MASSEY FERGUSON MF 3650 Xtra wheel tractor. Spare Parts Catalog. 4600960 MF 3655 MASSEY FERGUSON MF 3655 wheel tractor. Spare Parts Catalog. 4600961 MF 3655 V-S-F-GE MASSEY FERGUSON MF 3655 V-S-F-GE wheel tractor. Spare Parts Catalog. 4600962 MF 3660 MASSEY FERGUSON MF 3660 wheel tractor. Spare Parts Catalog. 4600963 MF 3660 V-S-F-GE MASSEY FERGUSON MF 3660 V-S-F-GE wheel tractor. Spare Parts Catalog. 4600964 MF 3660 V-S-F-GE Xtra MASSEY FERGUSON MF 3660 V-S-F-GE Xtra wheel tractor. Spare Parts Catalog. 4600965 MF 3670 MASSEY FERGUSON MF 3670 wheel tractor. Spare Parts Catalog. 4600966 MF 3680 MASSEY FERGUSON MF 3680 wheel tractor. Spare Parts Catalog. 4600967 MF 3690 MASSEY FERGUSON MF 3690 wheel tractor. Spare Parts Catalog.